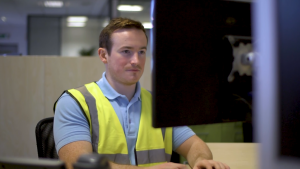 A live Q&A with Tom Hardman, a controller apprentice at Essity. 4 year apprenticeships with the first year spent full time at college and the remaining three years are based on day-release. They initially work to the new UK standard of MOET (Maintenance Operation Engineering Technician, and then these apprenticeships are then supported beyond this level up to HNC level. At Essity we are dedicated to improving well-being through leading hygiene and health solutions. We believe every career is as unique as the individual. To grow as a business and achieve our ambition of increasing hygiene standards across the globe we need people who believe in what they do, people who want to contribute to the wider picture and people who have a motivated mind-set and passion for innovation. Working with Essity is not just a career; it is a chance to directly make the world a healthier, more hygienic and safer place. Essity is a leading global hygiene and health company that develops, produces and sells Personal Care, Consumer Tissue and Professional Hygiene products and solutions. We have about 48,000 employees and sales are conducted in approximately 150 countries. A live interactive broadcast with apprentices at J.P.Morgan. Mitch Tucker & Kayla Castagnola as the current apprentices and Divya Soni as the alumni. Speakers: Mitch Tucker & Kayla Castagnola as the current apprentices and Divya Soni as the alumni. JPMorgan Chase & Co. is a global financial services company with a great name, a great reputation, and a great record of success—but you already know that. What you might not know is the wide range of opportunities we offer. From Early Insight (pre-internship) and global internship programs to full-time careers, JPMorgan Chase provides learning and career progression, as well as the chance to make a real difference in our global communities, markets and industries.